KINGAROY is anticipating a huge influx of tourists and bacon-loving locals for the inaugural Baconfest this weekend. This is great news for businesses, and some accommodation providers have advised they were booked out for the Baconfest weekend months in advance. 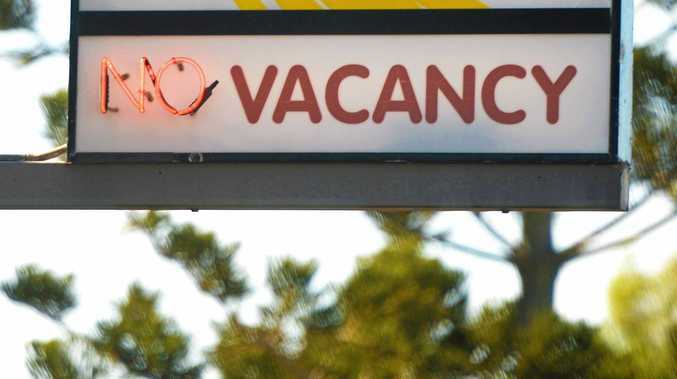 Kingaroy Holiday Park's Helen Kirk said they had been booked out for a while and had started to prepare a list of other accommodation sites she could refer people to. "I'm concerned some of our regulars will turn up and not realise Baconfest is on and we will have to sadly turn them away," Mrs Kirk said. The Kingaroy Holiday Park owner, who with her husband Russell has owned the park for 12 months, said as it was a new festival it was hard to know what sort of clientele to expect. "I'm assuming Baconfest will attract a younger demographic, however what we have noticed is people in caravans chase the festivals, so you just never know," Mrs Kirk said. Kingaroy's Hillview Cottages owner Sandy Hunter said events like Baconfest were great for our region, but the key was to inform tourists of just how much is on offer in the South Burnett all year. "We have some of the best museums around," Mrs Hunter said. "I am always telling our guests about the great museums and art galleries." Mrs Hunter said once guests knew how much there was to do in the region they would rebook later in the year. "They love going to all our wineries, but there is just so much more on offer," she said. "It's important to let the out of towners know just what we have at our doorstep." News Find out the hottest events over the weekend. Politics Capricornia's candidates share their differing tourism approaches. Politics The tables have turned in a fascinating election race.